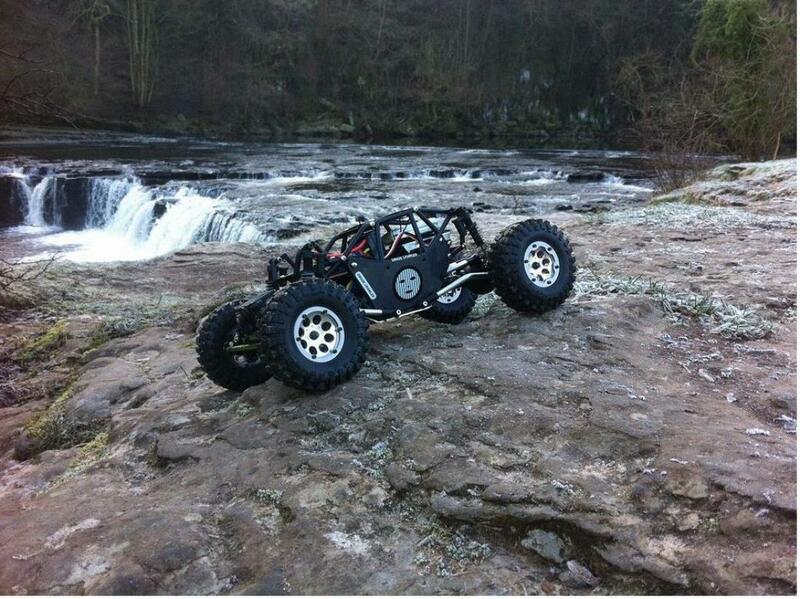 I picked this up in a trade on UKRCRC, what we have is an R1, fitted with SCX10 axles. 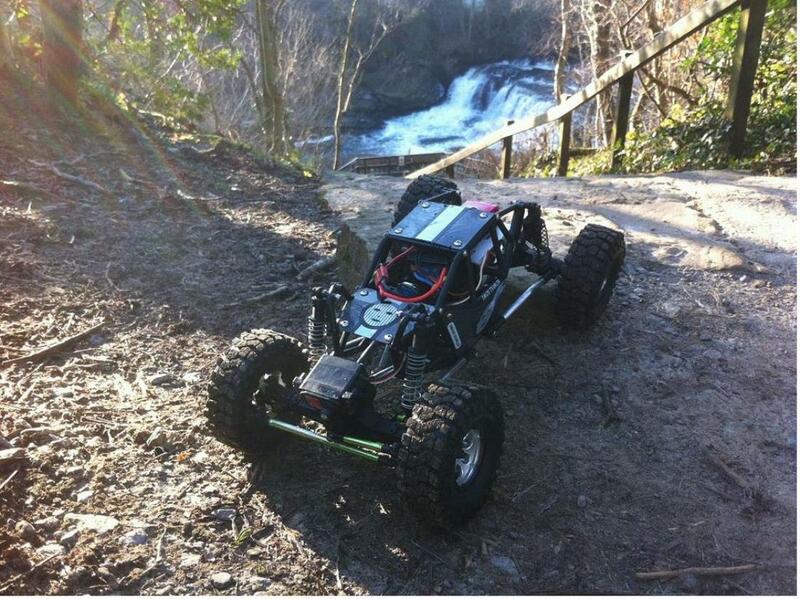 It's running quite squat, fitted with an Mtroniks Auto20 ESC and a Reedy motor, of what type I don't know as I cant see it properly. The wheels are weighted and at full speed it's a very brisk walking pace. 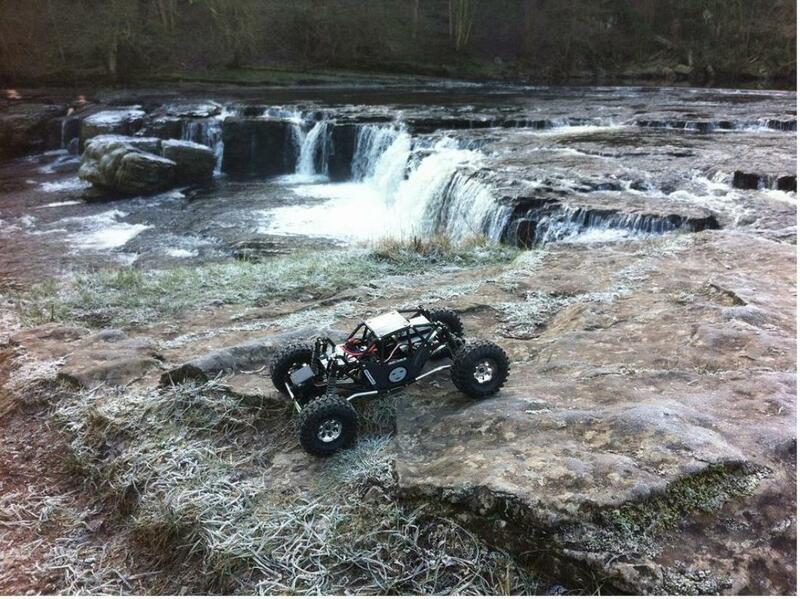 I took it out for a spin at Asgarth Falls on the Yorkshire Dales, and even though it was icy, it jumped, scrabbled and climbed everywhere. I am definitely hooked now. Future plans, fit half of a Star Wars Clone Trooper as a driver, swap out the ESC for a Lipo ready one, swap the receiver for a 2.4g, and move the battery to the front of the cage. Oh, and improve my crawling skills.